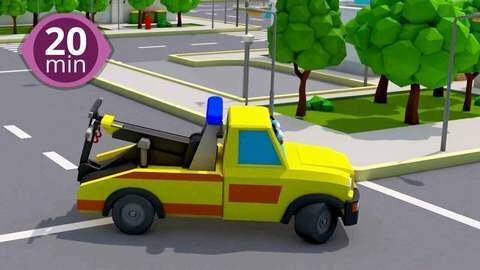 Your children won't be able to resist watching this free 3D car cartoon in HD! Yellow and blue car accidently hits the car in front of him, and it hits the police car! He runs off in fear, but runs out of gas quickly. Watch more silly car videos in HD for free at SeeZisKids!